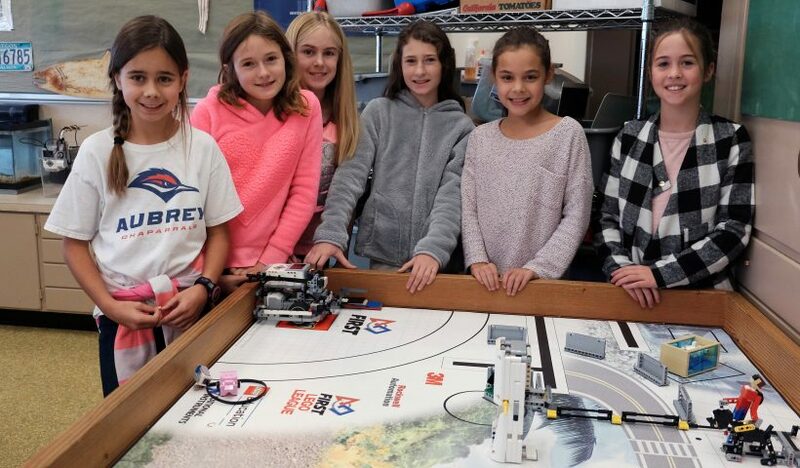 The new Oak Grove Lego Robotics team is ready to compete as rookies in the First Lego League (FLL) competition. 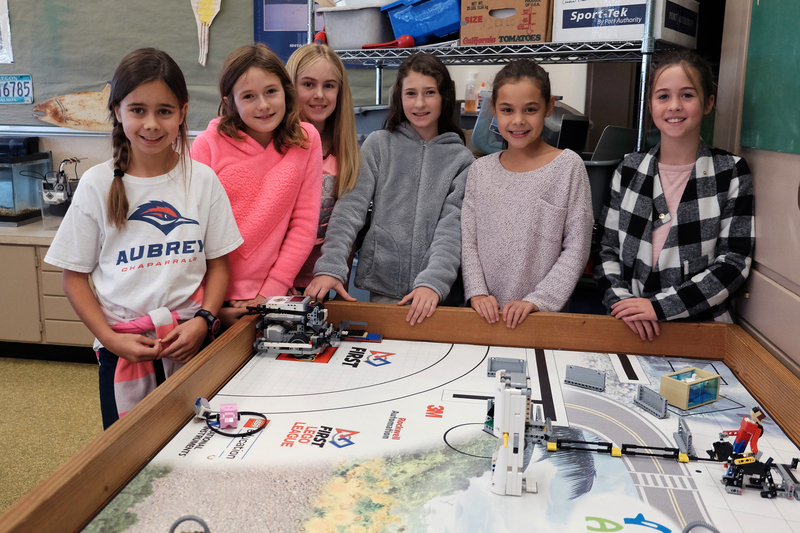 Under the direction of Oak Grove teacher Mark Gullickson, the “Fin-Tastic Fish” have built the required robot kit and are working on completing the coding requirements. The team meets every day at lunch and on most Saturday and Sunday afternoons. All of the girls on this year’s team are in fourth grade. This is the first year of Lego competition for all of them. They are (from left): Luci, Kira, Lena, Alyssa, Brianna and Ellary. The “Fin-tastic Fish” are also working on a water temperature monitoring system to study the impact of water temperature changes on salmon in the region. “They have spent the past two months researching the impacts of global climate change on salmon populations in the Pacific Northwest,” said Gullickson. They worked closely with fisheries biologist from the Oregon Department of Fish and Wildlife (ODFW), the U.S. Forest Service, and the Oregon Hatchery Research Center. 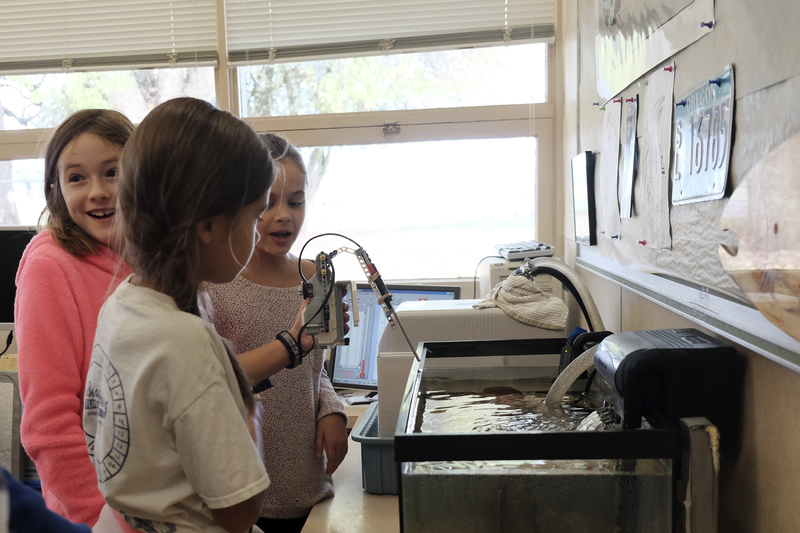 “In addition to their research, the team worked with Vernier Software and Technology, and LEGO education materials to design, build, and program an in-class aquarium robotic water quality monitoring system. 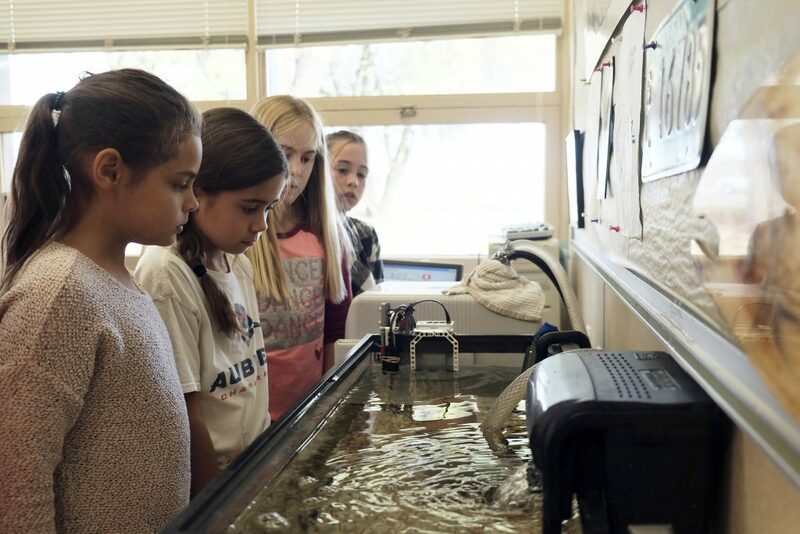 They are in the process of published and sharing their innovative work with schools and other Salmon Trout Enhancement Program (STEP) classroom in Oregon,” said Gullickson.